If you’re looking for tips on how to get a perfect pelt in RDR2, you’ve come to the right place. Hunting in Red Dead Redemption 2 has a good bit of nuance to it and requires players to get precise kills to maintain an animal’s quality. It’s important to get perfect pelts not only to sell them for a higher price, but also for crafting. The trapper only accepts perfect pelts for making rare items, and you can only fulfill Hunting Requests with perfect pelts. At the western foot of Mount Shan you’ll find the territory of a Legendary buck – hunt it down and bring its antler back to the fence and craft the Buck Antler trinket. This will improve the quality of all of the pelts you skin while hunting, making it way easier to craft upgrades and new items. After studying or killing an animal, Arthur can determine an animal’s quality just by looking at it. Animals in pristine quality are identifiable by the three stars that appear next to their name and are the only animals that can yield a perfect pelt. If you’re having a really hard time hunting, try using the Cover Scent Lotion. This blocks human scent and reduces animal detection. You’ll also want to consider using bait. The weapon and ammo you use to kill an animal affect its quality. For instance, if you use a shotgun to kill a raccoon, that raccoon is going to be full of holes and nearly worthless. Generally, you’ll want to use your bow and arrow on small animals, and use Red Dead Redemption 2’s snappy targeting system to get clean headshots. As the hunting tutorial mission taught us, shooting an animal in the wrong place degrades its quality too. For the biggest animals, like bears and elk, you can use rifles to take them down. Again, focus on getting headshots for the cleanest kills to yield better carcass quality. If you’re having trouble landing those clean kills, especially on small animals, you can use Dead Eye — especially after it’s leveled up — to target a specific point. 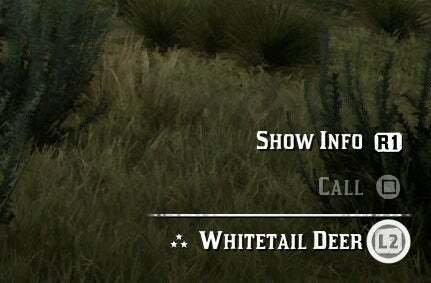 Every animal’s “information” tab tells you which weapon you need to get a clean kill. You can also view this information in the animal Compendium. For instance, you need a Varmint Rifle to get a clean kill on a rabbit. No matter how great of headshots you get on it with a bow, you won’t get a perfect pelt. 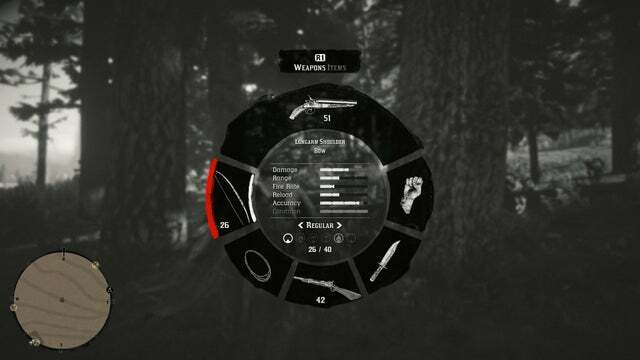 You can, however, experiment with stronger ammo types, like the reinforced arrow, for taking down big game like bears. Small Game Arrows don’t work on animals like the Black-tailed Jackrabbit or Raccoon. It only injures them. You’ll want to use these lower damage arrows on squirrels, rats, snakes and other small animals. Move to the high ground. If the animal you’re huntings is uphill from you, you’re minimizing your chance to get a clean kill. Make sure you’re facing the animal’s side, not their behind or even directly at their head. If you’re looking at their side, there’s less of a chance you’ll accidentally shoot another part. If you’re using a bow and arrow, make sure you pull back the arrow all the way, even in Dead Eye. If you don’t, you won’t be doing maximum damage (even if you hit the animal’s head) and it’ll reduce the animal’s quality instantly. Your lasso is good for more than just wrangling your enemies. You can use it to tie up and kill animals too. If you do choose to use this method, be prepared to stab the animal you wrangle in the heart. This doesn’t work for small animals like rabbits or anything smaller, but if you can follow it on your horse, the lasso will work. Don’t forget to use Dead Eye if you’re having a hard time landing the lasso! Get as close as you can to the animal and when the reticle turns red, throw your lasso at the animal. Arthur will immediately get off his horse when he catches an animal. That’s all we have! Good luck hunting, and if you have any other tips or tricks, let us know in the comments or feel free to add a section yourself by signing in and editing the page.